HITS » Nayel Nassar makes history by earning his Triple Crown win at the Ocala Championship! That's a Wrap for the Ocala Championship! Nayel Nassar Earns his Triple Crown in the Great American Million! After ten weeks of incredible performances at the HITS Ocala Winter Circuit, it seemed nearly impossible to save the best for last as riders from all over the world competed on a weekly basis. From the Winter Festival in the Horse Capital of the World, to our two $100,000 Grand Prix sponsored by Ocala Electric Utility and Sullivan GMC, to the debut of the Marshall & Sterling Team Challenge, there was something for everyone who competed at HITS Post Time Farm. 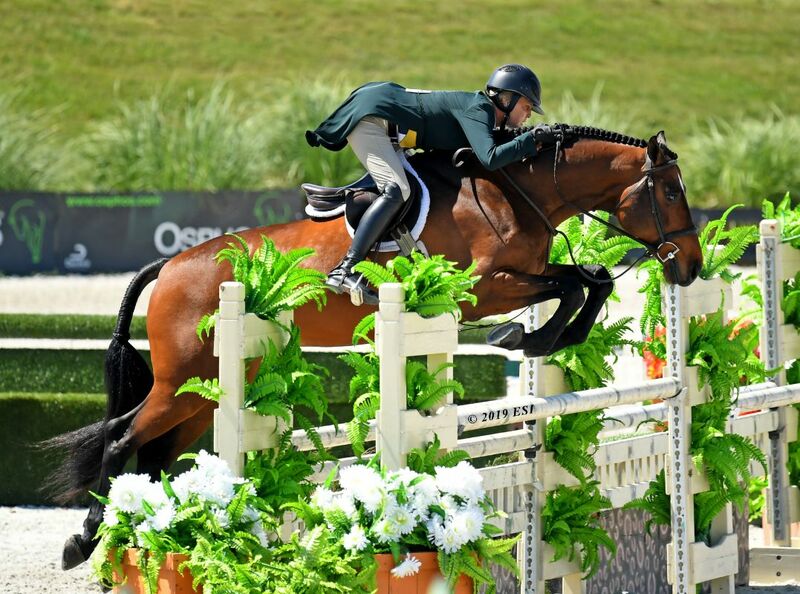 But Sunday’s Great American $1 Million Grand Prix defied the odds as history was repeated. 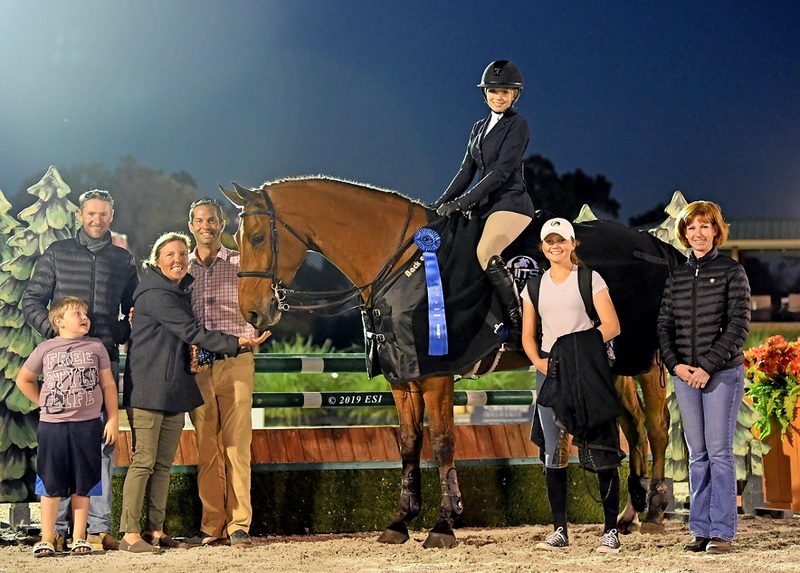 Just one week after seeing his bid come up just short in the AIG $1 Million Grand Prix at the HITS Coachella Desert Circuit, and watching Beezie Madden become the first rider to win a HITS Million in each location, Nayel Nassar quickly joined that exclusive club. 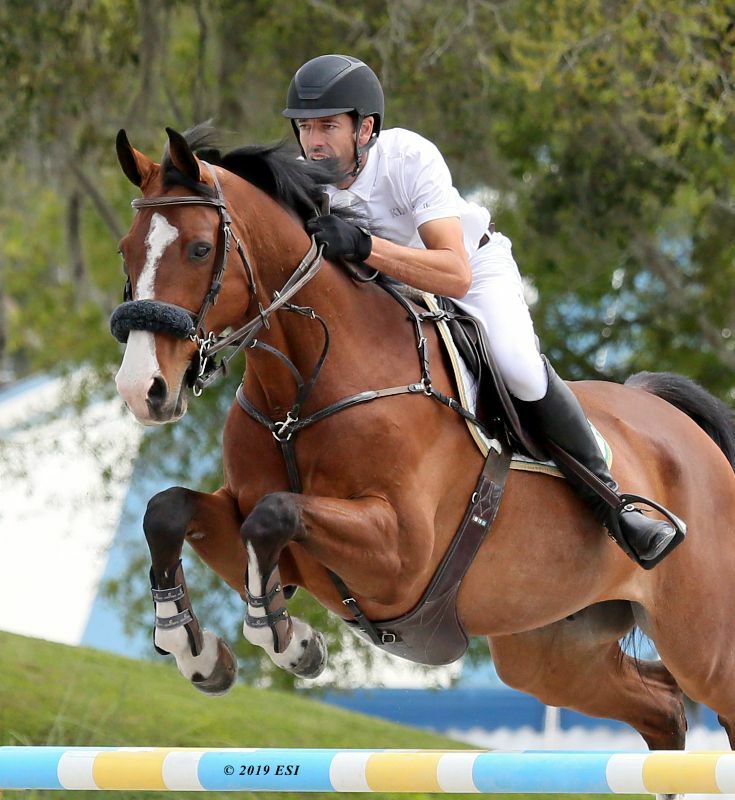 With his maiden victory coming at HITS Saugerties in 2013, followed by his winning ride in 2018 at HITS Coachella, Nassar rode LUCIFER V to his milestone victory during the Great American $1 Million Grand Prix. His performance in recent weeks becomes even more amazing considering the depth of talent competing in these prestigious HITS events. The Great American $1 Million Grand Prix had a field of 44 of the nation’s top riders competing to earn the coveted title of winner. Nassar knew he would have to be clean and fast to secure his spot in the history books. For Paul O'Shea, who was chasing the Million win from HITS Coachella to HITS Ocala, things began to line up for him in the first round. He jumped clear and earned a spot in the jump-off, chasing the title once again. He went into the jump-off knowing Nassar would be tough to beat, "It was a super course, I think I did all I could in the jump off, when it came down to it." 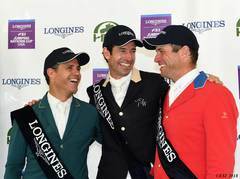 Darragh Kenny knew he would have to be fast and clean to catch the two riders ahead of him in the rankings, "It was going to be tough to beat him [Nassar], we'd have to take a lot of risks." Kenny's risks paid off to put him on the leader-board with yet another clear round and the two fastest times in the class. "I thought it was a great course and I thought we had the right number in the jump-off for it to be a good sport and a good class," commented Nassar on his other competitors in the last round of competition. Coming back to the Winner's Circle to claim the blue ribbon in the $5,000 Johnson Horse Transportation Welcome was Rowan Willis aboard ZIPIRO. The team jumped clear in the first round to earn themselves a spot in the jump-off. Where four other riders posted clear rounds. Determined to claim back-to-back wins, Willis turned in a quick, clean trip in 37.928 for the victory. Willis and ZIPIRO followed up their win earlier in the week with another top honor, this time in the $25,000 SmartPak Grand Prix. Willis was the only rider in the jump-off to jump a clean round with the fastest time of 38.317. The Ocala Championship also featured the annual $25,000 Children's/Adult High Jumper Classic, with 63 riders competed to take home top honors. The jump-off hosted 21 of those riders, making this class one of the most competitive of the circuit. Coming out with the blue ribbon were Ana Ramos and JORNO, racing across the timers in 36.476 to seal the win. Junior and Amateur jumper riders had their turn in the spotlight to with the $25,000 U-Dump Jr/A-O/Am 1.45m Jumper Classic. It came down to three riders who went clear in the jump-off, with Hayley Waters and TOUT BLEU DE VAINS coming out on top. Waterscame away with a time of 38.820 to secure her spot in the Winner's Circle. The $10,000 1.35m Classic returned for the last week of winter circuit with Aaron Vale and DARLING GR claiming top honors. The pair edged out their competitors by having two clear rounds and a time of 34.554. Brian Moggre, aboard MTM LOS ANGELES, was the winner of the $10,000 KindredBio Open Prix, jumping two clean rounds with a jump-off time of 29.674 to claim the victory. Grace Debney and DARC KISS Z came away victorious in this week's $2,500 Pyranha Junior 1.25m Jumper Classic. Molly Struve aboard PIXEL claimed the title of winner for the $2,500 Pyranha A-O/Am 1.25m Jumper Classic. Taking home top honors in the $10,000 Summit Joint Performance Jr/A-O/AM 1.35m Jumper Classic were Anthony Sauriol and his own PMB Cascada. 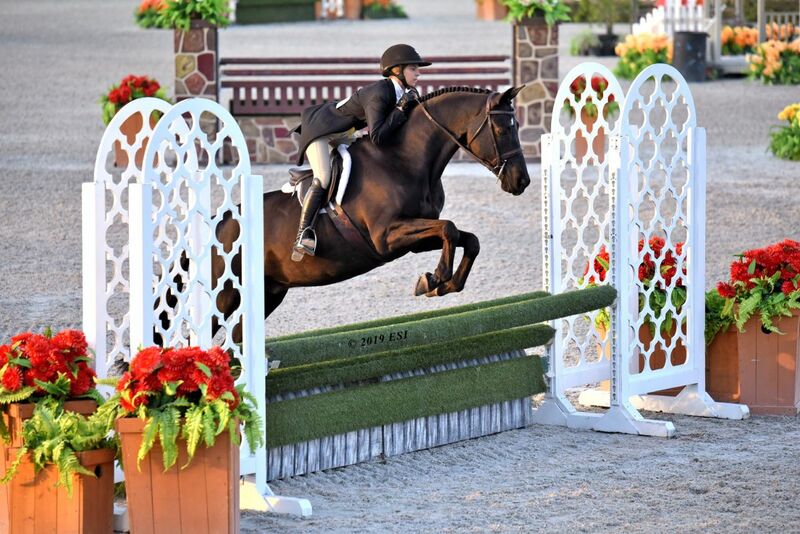 Week X hosted the second $25,000 USHJA International Hunter Derby of the season, held Saturday evening. Out of a field of 41, Tracy Fenney and MTM OUTBID became the stars, scoring an impressive 178 in round one and 206 in round 2, the highest of the round. This gave Fenney an overall score of 384 to post a dominating win. A treat for spectators and exhibitors was being able to watch the HITS Equitation Championship. Junior riders compete throughout the circuit to qualify for this prestigious class that requires riders to do all their own preparation, including course walk and warm-up without the assistance of their trainer. The two-round format includes a gymnastics phase and a jumper-style phase, with scores added to determine the winners. After a solid score of 82 in the first round, Addison Reed returned with an exquisite round and a score of 86 in the second phase to be crowned the HITS Equitation Champion. Lila Ouellette and KING OF HEARTS took home top honors in the $1,500 Platinum Performance Hunter Prix. Ouellette was up against some tough competition, but proved calm, cool and collected to score an 86 in the first round and 82 in the second round, for a combined total of 168 to take home top honors. HITS would like to congratulate the winner of the Laura Pickett Perpetual Trophy,graciously donated by Rolling Acres. This trophy is awarded to the Grand Junior Hunter Champion in the 3'6" division. This year's recipient is Neave Campbell and her own CANTINI. 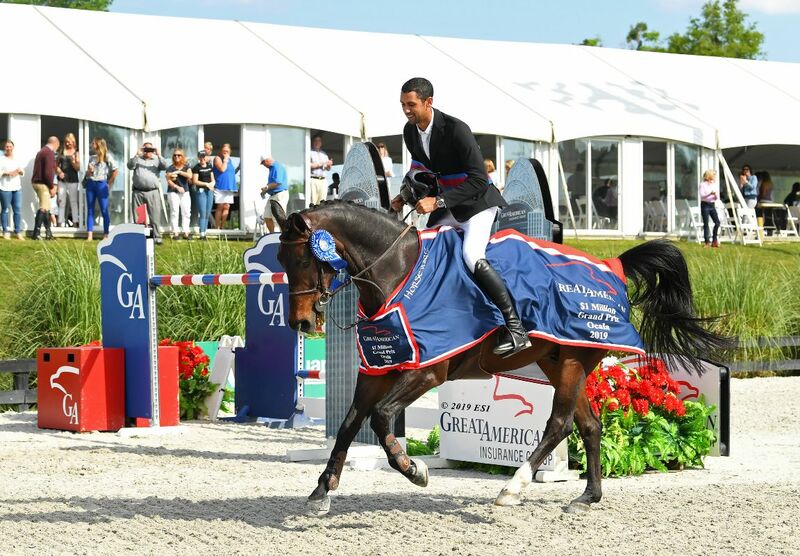 The special awards for the Kindred Bio Leading Rider and the Summit Joint Performance Leading Rider were presented prior to the Great American $1 Million Grand Prix. The winner of the Kindred Bio Leading Rider was Brian Moggre. The winner of the Summit Joint Performance Leading Rider was Erin Haas. HITS would like to congratulate all of the riders here at the Ocala Winter Circuit for a job well done! HITS is heading north! Be sure to join us at one our upcoming circuits this spring and summer. Prize lists are available for HITS Culpeper, and HITS Chicago and class listings have been posted for HITS Saugerties. We look forward to another round of great events, culminating with the HITS Championship in our hometown!